Organic cotton, Hanna Andersson, Christmas, and Jammies! Those are just a few of my favorite things. I found myself to be in shortage of yummy, wintery jammies, and set forth to remedy that immediately. Wrapping together some of my favorite things, I whipped these up, and in honor of the holiday season, am sharing them with you. 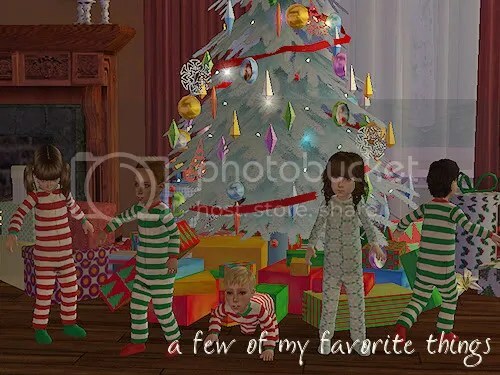 There are three unisex jammies, red striped, green striped, and blue snowflake. No Mesh Required. All clearly labeled. Any issues just let me know! Thank you for these! They’ll definitely get used! These are too cute! Will definitely download, thanks! Oh, so cute! I love them – thanks for sharing!